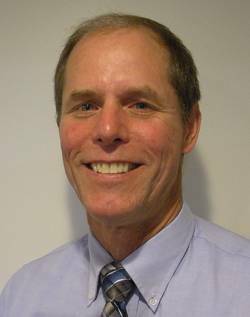 John Eckart has joined HS Marine Propulsion, LLC as the Principal Engineer. Eckart has worked in the marine industry for 25 years in the areas of hydrodynamics and ship propulsion. He spent the past 15 years as a principal engineer with Rolls-Royce Naval Marine, Inc., where he was responsible for propeller and waterjet design and analysis. In that time John designed propellers for hundreds of commercial and military applications. He is a graduate of Kings Point and The University of Michigan with a degree in Naval Architecture and Marine Engineering. John will be responsible for propeller design and application engineering for all applications for HS Marine Propulsion, LLC. Eckart has extensive experience in the design of propellers to reduce cavitation and vibration levels and has worked with test facilities worldwide to verify the performance of propeller designs. John has also worked with the US Navy and commercial vessel operators to produce propeller designs and tailor operating profiles to enhance fuel efficiency for both fixed pitch and controllable pitch propeller applications. He is available to work in any phase of design activities from initial parameter selections of diameter, RPM, etc. all the way through detailed design and drawings.